I started off by practising gathering pieces of muslin, using a machine. 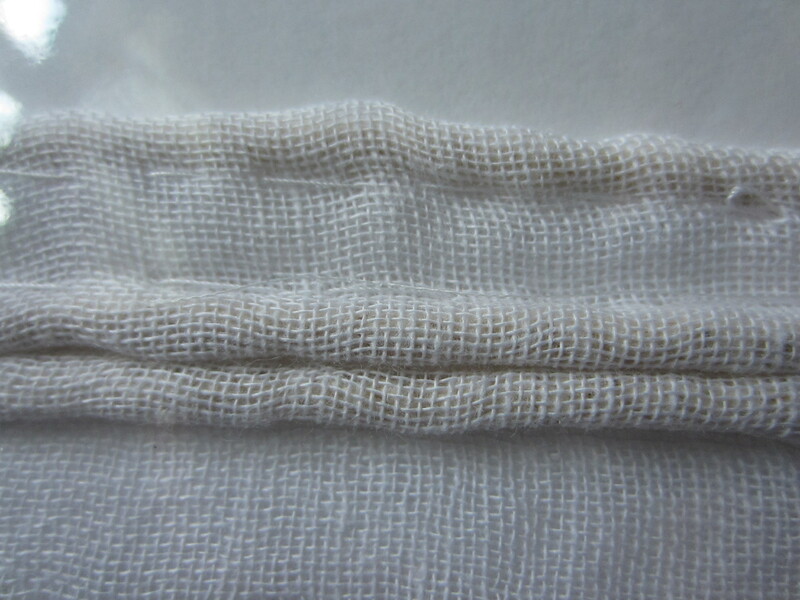 I used elastic thread and practised a single line of gathering and then three rows, which gave a smocking effect. Inspired by a photo of Mt Fuji, I took from a plane, I painted a small watercolour and then added some gathered muslin to create a textured surface to give the effect of fluffy clouds. I frayed the edges to emphasise the fluffiness. Liking the effect, I gathered a piece of dyed cotton to see if I could create a texture to represent the reflection of the walls in my cave photo. Folding and pleating is a technique I have used in shibori to create textures fabrics. I will be writing about this in the next post on ‘Raised and structured surface textures using shibori techniques’.